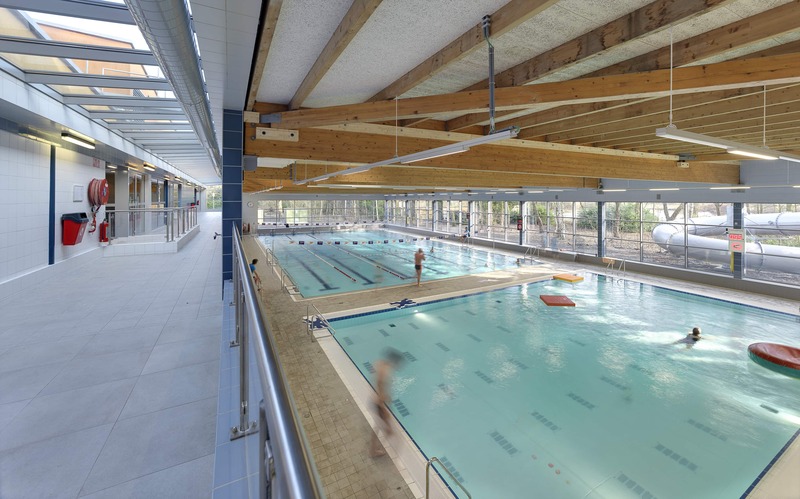 After years of vacancy, this Belgian swimming pool received a thorough facelift and extension of facilities. 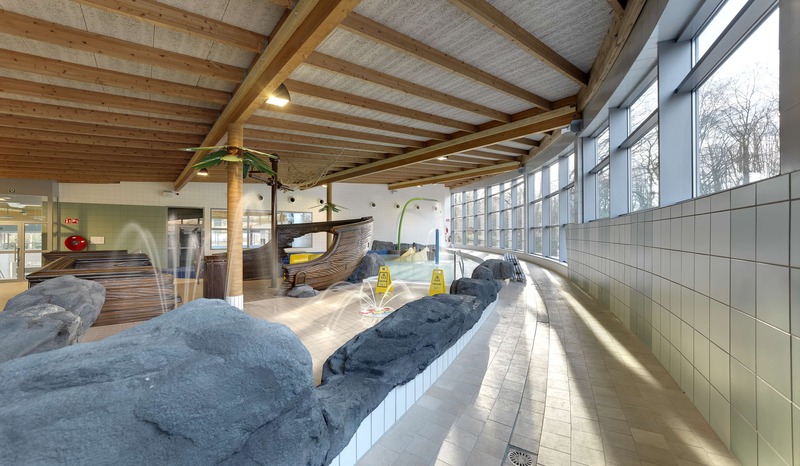 Structural improvement works were done to the basement, pool basins, floors and plant rooms, and the used technology guarantees a final and sustainable solution for the pool. To deal with ground water issues, 1680 cubic meters of concrete was used, that is approximately 4 million kilos. 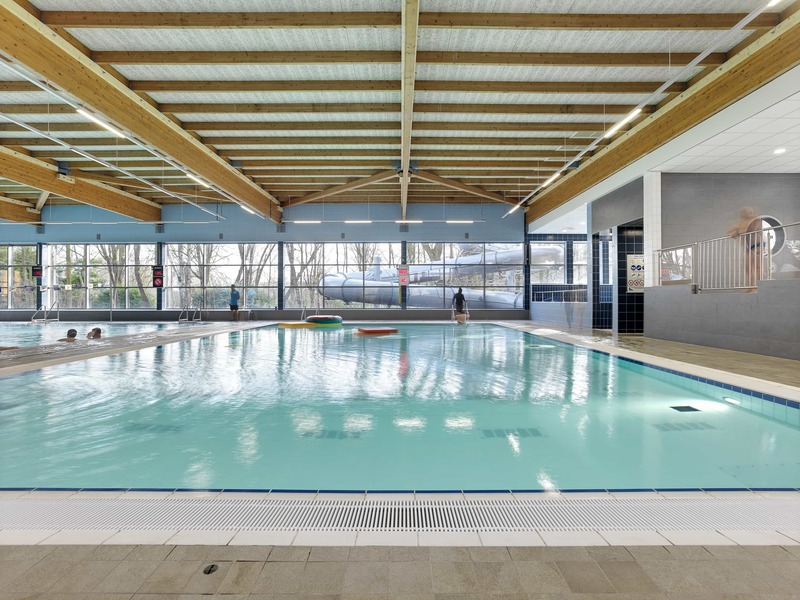 The leisure pool has a great offer for all ages, with a kids world, a fun- and leisure zone and a 25 meter training pool and a learner pool – both with moveable floor. The wellness area has a whirlpool, sauna and three steam rooms. Especially the play world and the 74 meter long slide stand out. The slide has three dimensional effects, for which the user can pick their own theme, like Halloween or disco. Or you can choose to score as many points as possible along the way by touching specific places of the slide. 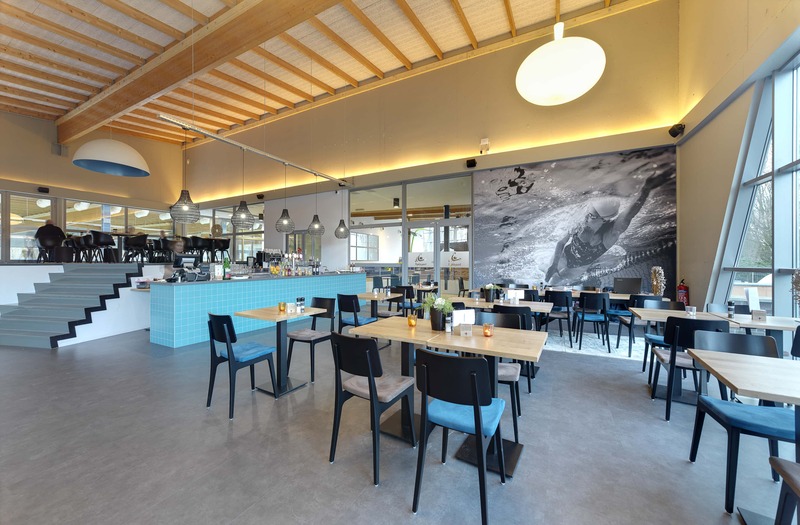 The restaurant area offers views offer the kids world and the 25 meter pool. Outside, a spray park was realised. This DBFMO project was realised together with ESSA engineers and architects, and with operator Optisport, who will operate the pool for 20 years.